Adirondack Bear Tale #7: The Demise of Old Three-toes! The Demise of Old Three-toes. Three-toes was a grouchy, old bear. He was also big for a black bear. Folks around Burketown who occasionally spotted him estimated he might weigh between 450 and 500 pounds. This is fairly large for an Adirondack black bear. You knew when old three-toes was poking around from his distinctive tracks. His left fore-paw was missing the two outer toes, leading of course, to his nickname. Nobody really knew how he’d lost those two front toes. Speculation was abundant. Maybe he’d lost them in a fight with another bear, or perhaps a near miss with some kind of bear trap. Whatever the cause, it almost certainly contributed to his sour disposition. A couple of camps down Burketown Road from my grandparent’s camp and in the direction of Burke’s Marina, lived a friend of the family. A local contractor and handyman, he’d built the camp belonging to my other grandparents on the lot next to ours near the end of the road. For the sake of this story, I will call him Mike. As of late, old three-toes had become the frequent topic of discussion up and down the road. Folks spotted him on the prowl regularly and he’d been getting in to some real mischief, causing damage to camps, screen windows, front porches, etc. So far nothing serious had occurred, but many felt it was simply a matter of time. On this particular morning, Mike got up early to go fishing. And, living alone, began cooking himself breakfast. He’d opened the front door to his camp to allow the cool, crisp morning air to pass through the screen door. Unfortunately, this also allowed the smell of cooking bacon to waft its way out through the screen door, and be carried along on the same morning breeze. The tantalizing smell of cooking bacon proved to be irresistible to old three-toes who happened to be passing by. The bear turned, and followed the enticing aroma right up to Mike’s camp screen door. Three-toes decided that the screen door was not going to keep him from getting to that delicious smelling bacon! Mike heard the crashing sound of three-toes clawing right through the screen door. He turned in time to see the big bear coming down the short hallway to his kitchen area. Mike quickly retreated from the kitchen area and in the opposite direction. He made his way to his den where he kept a loaded 12-gauge shotgun on his rifle rack. Mike grabbed the 12-gauge and headed back to the kitchen where three-toes was making quite a mess of things. He yelled at the bear first, hoping to scare it off. He did not really want to shoot the bear. Unfortunately, three-toes was having none of it. This was now his bacon and, as far as that went, it was also now his kitchen. Mike simply had no choice. Taking careful aim with the shotgun, he fired. While many in the Burketown area were saddened by the death of three-toes, a lot of people slept a bit more soundly at night. It is an unfortunate thing when black bears lose their fear of people. It never turns out well for the bear. I hope this story touched you, and reminds you why it is so important to not feed the bears. 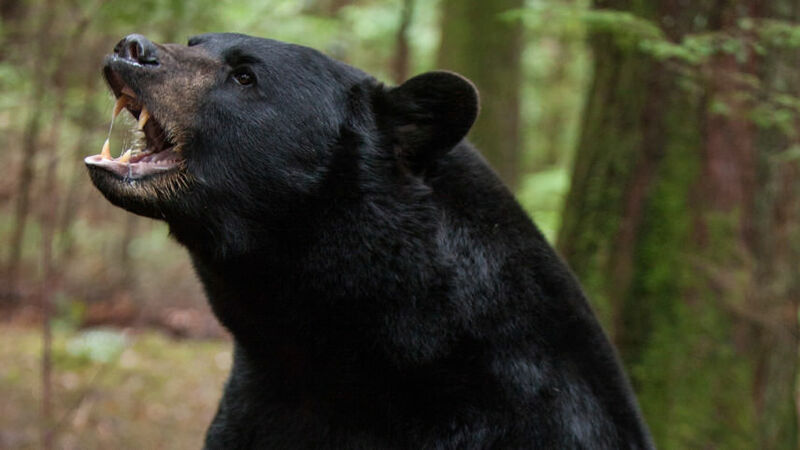 While black bears can indeed be cute, they are still wild animals. And, please take the time to check out my novel, Serpents Underfoot.